Quick update before we jump into today’s post! That made me laugh pretty hard. I don’t know why but I find that to be oddly satisfying. Maybe you can help me out and tell me why you think so in the comments? On with today’s post! I love shortcuts. If you follow me on Twitter then you know I tweet out a #ShortcutOfTheDay Monday-Friday around 9:00AM. Somewhere between 4% and 14% of all browser usage is through Safari. I’m in the small minority of the world that uses it. However I absolutely love Safari’s bookmarks bar and reading list features. I love how they both transfer over automatically to my iPhone too. I also learned a ton of shortcuts for Safari a long time ago and am not up to learning Chrome or another browser at the moment. So that’s why we’re here today. 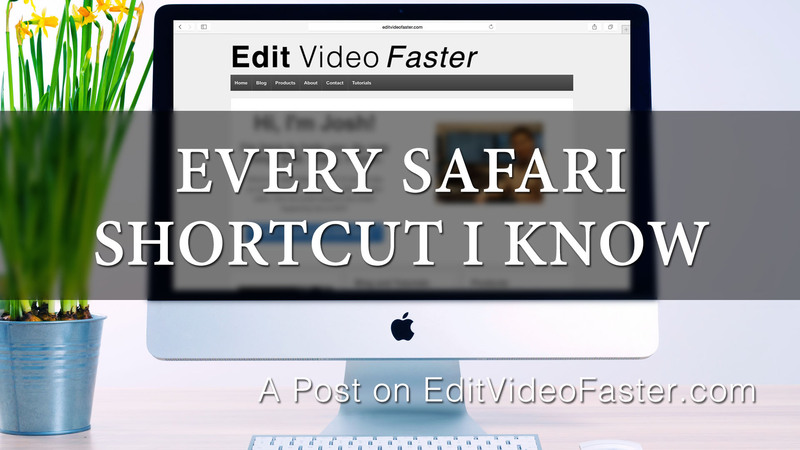 I want to share with you every Safari shortcut I know. 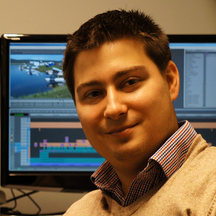 I believe in learning shortcuts not only in your NLE but also in every program you use. I bet you probably spend as much time clicking around the web as you do editing (you’re reading this right now, right??). So why not get faster with your browsing skills? A lot of what I’m going to cover can be used in other browsers so you might find this post useful even if you don’t use Safari. For example, Cmd+Q will quit pretty much every program on a Mac. Since Safari is mostly focused around Mac-users I’m just going to give the Mac shortcuts even though it’s apparently available for PCs. The shortcuts are broken up into three sections and I’ve bolded my favorite ones. I hope you found this post on every shortcut I know in Safari helpful. If you know any more of them leave ’em in the comments! Also, if you liked this kind of post and want me to make more of them for other software let me know in the comments as well! Thanks as always for reading. I’ll see you on Friday with a new tutorial! Hey…one last thing. If you want to get an email when I come out with a new post (typically every Wednesday and a tutorial every Friday), then punch in your email address in the top-right corner of the page. No spam or anything like that, ever. You’ll just get emailed when I come out with a new post on this site.